A fake brand campaign for outdoor shoes that covers digital, traditional and store design elements. At my time at PetSmart, the company been bought out and was going through restructuring. As part of the restructuring the creative team had to do a bit of a project to apply for the new positions being created. The project was to create a campaign from a brand on a shoe, potato chips or horseback riding all in three days time. It needed to be well thought out across multiple channels. After struggling with inspiration, I took a trip to the mall and discovered that outdoor shoes, a market that should be ripe with fun, all felt very similar and generic. I decided I would invent a brand and develop a campaign catered more toward a specific group. After some Googling, I found a few camping and outdoor activities reports and felt it would be logical and fun to target the millennial group. I wrote the brief on the right to reflect this research and target. The next issue was defining what was the brand and what made the campaign different. My process to define this was to build out a brand guideline and building a campaign that helped support the core brand in a new and creatively unique way. I wanted the brand to have an element similar to Ford, where their advertisements hardly show pristine trucks, but often they are dirty out in the element. 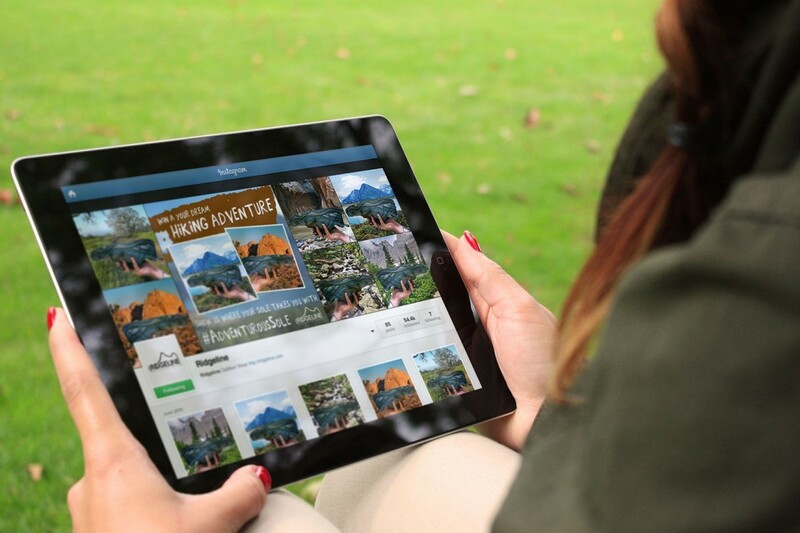 The outdoor adventure is supposed to be muddy and needs to showcase that same element. That’s core brand, but the campaign can bring it to a whole new level. Instead of just showing the mud on the soles, the entire adventure should be an imprint on the sole. 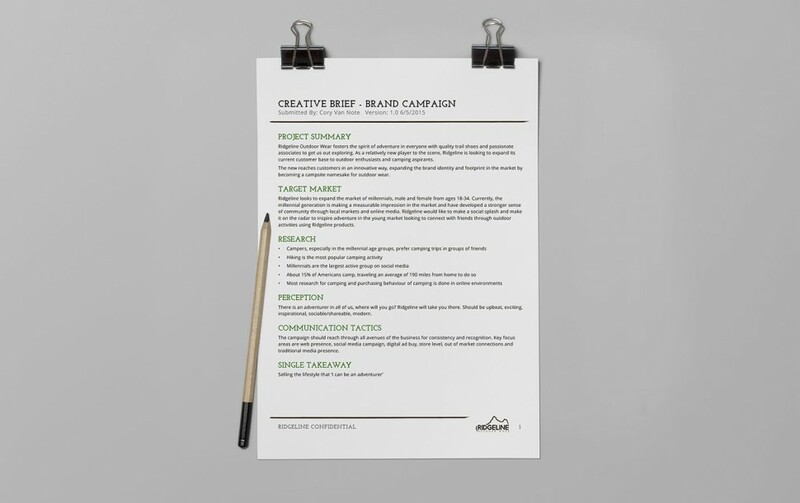 After having the brand and campaign guide established, I started working through the tactics. I started in the digital space as that would be my focus. 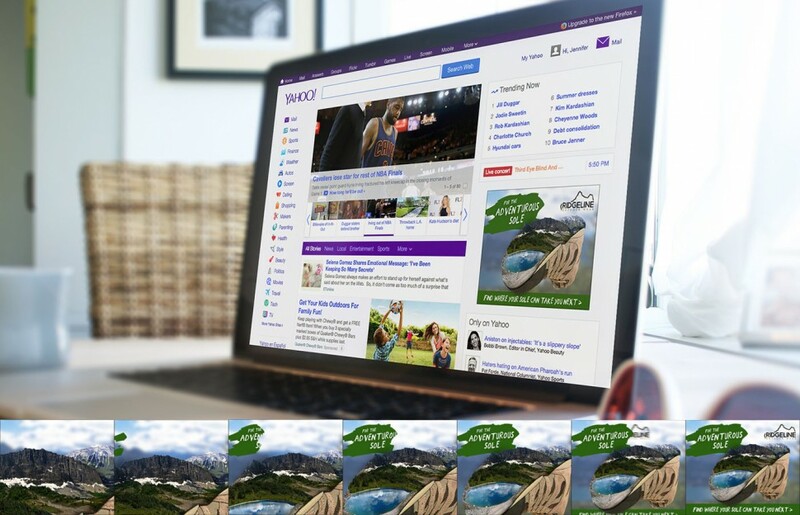 Ad tiles were likely the first interaction a new user would have with the brand, which would bring them to the website. 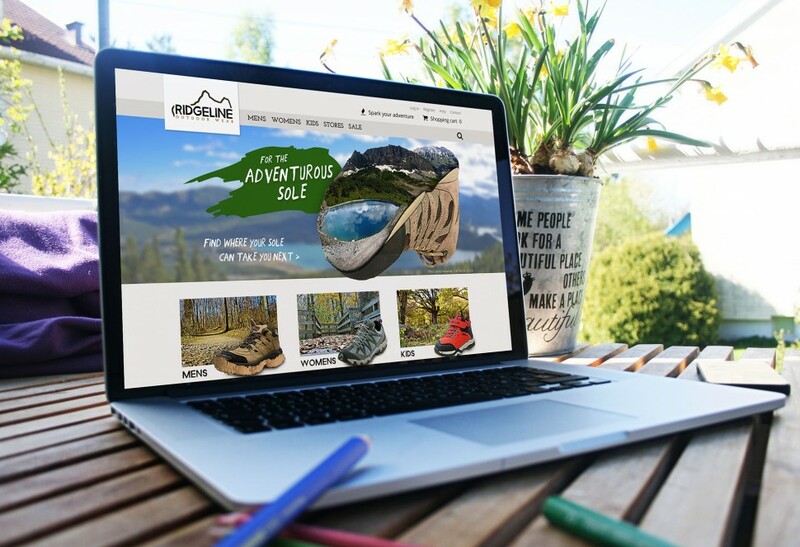 The website itself would have a strong visual tie to the campaign, the imagery could be a rotation of different types of adventures (Glacier National Park is pictured, but Grand Canyon or Yellowstone are other examples that could be shown). 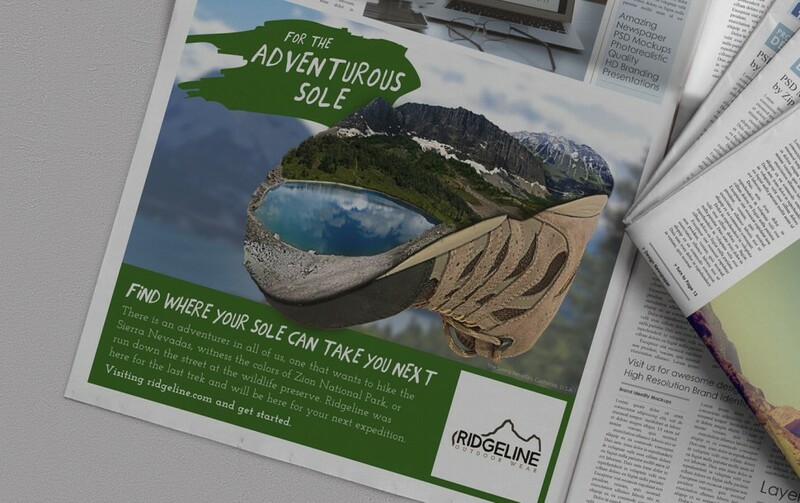 This campaign is truly meant to be inspirational, it would follow through properly without a follow-up once you get out into the world, so the social campaign is meant to take a user and their sole (hopefully a Ridgeline product) out into their adventure and show a glimpse of their adventure by holding up their shoe to show where their adventurous sole takes them. There are still some traditional outlets that could be geo-targeted around different national parks. Research showed people were willing to drive a decent distance in order to go on an adventure, the traditional pieces can be targeted in that radius. I also concepted a TV spot that would show a few montages of friends camping, until it lead to a final scene of them hiking on the mountain where the camera pans out over the different spots shown in the montage, until we are far enough back to see all these locations are on the sole of a Ridgeline shoe. Part of that campaign needed to be placed into the store. Seeing the product on a shelf doesn’t imprint the adventure, but borrowing elements from the social campaign, the show can be displayed upside-down to show the product better from the top shelf display, but also show the sole with an adventure behind it. Not only that but trying on the shoe, should put you in the adventure, a carpeted floor and shelves of shoes won’t put you in the proper place for an outdoor shoe. A rocky, gravel surface with a mirror to show a potential buyer a preview of the adventure is much more suitable.